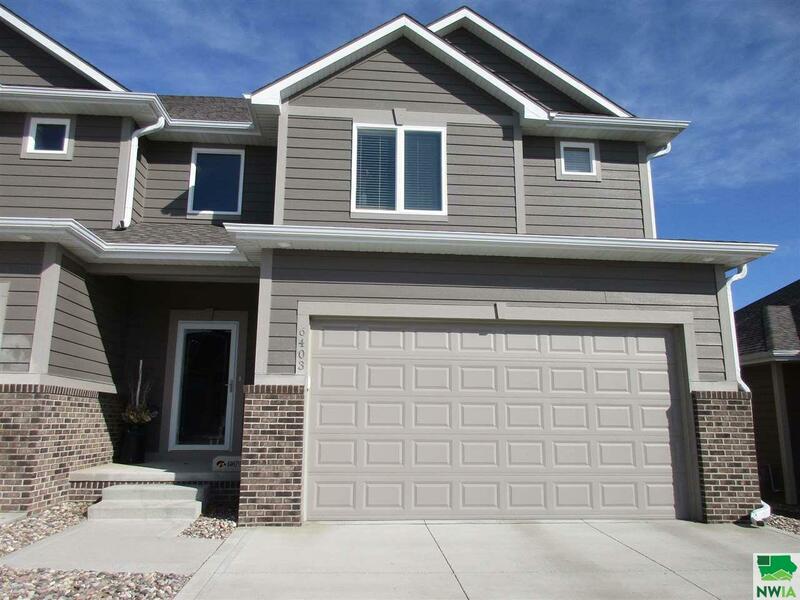 Outstanding townhouse at Whispering Creek with a tax abatement. Open main level floor plan with living room, dining room, kitchen & bath. Kitchen has natural wood cabinets, Granite counter tops and walk-in pantry. All 3 bedrooms are upstairs and boasts a large master bedroom with walk-in closet, coffered ceiling & master bath with duel sinks. The other 2 bedrooms have a Jack & Jill bath & double closets. Custom wood blinds throughout. Laundry room is conveniently located by the bedrooms with ceramic tile floor and large folding counter. Full basement is stubbed for a bath and ready to be finished for additional living space. The sliding glass door off the kitchen exits to a patio and beautiful landscaping. Whispering Creek living at its finest. HOA of $360 each quarter pays for lawn care, landscaping, sprinkler system & its water. Driving Directions: Whispering Creek Drive To Golf View Place Turn Left, 2nd House From The Corner.